HCTA (formerly ECC/CardiacEd) was founded in 1996 by a group of Registered Nurses, Nurse Practitioners, and Paramedics. We provide health care training to a vast number of health care team members (RNs, LPNs, EMTs, NPs, PAs, MDs/DOs, etc. ), we also offer many seminars and community/workplace courses (i.e., First Aid and CPR) for the general public. Why was HCTA formed? 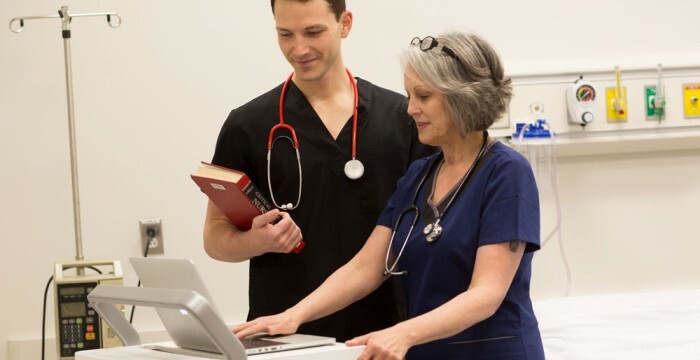 The founders realized many participants attending hospital-based courses were not engaging with the course material, for a multitude of reasons. With this realization, HCTA was created! Our objective: to take training out of intimidating environments and to form our own knowledgeable and friendly instructor-led organization; providing training at either our location or yours. Since 1996 we continue to offer flexible courses, with a warm and down to earth approach, an engaging environment, while keeping all of our programs cost effective! What other programs do you provide? In addition to many AHA programs, we offer numerous other programs, both in the classroom and online. The seminars we offer are highly dynamic speakers for healthcare and non-healthcare team members. Where are your courses located? We provide numerous courses and seminars around the country (and a few international destinations); we are local to a major airport so that we can go anywhere! We also travel locally to many offices, clinics, surgical centers, factories, hospitals, and even your home! Our head office is located in the heart of Hillsborough Township, directly across the street from the Hillsborough Post Office. We are positioned strategically between 6 major New Jersey Hospitals, and many clinics and offices which service many healthcare providers from each. Our address is 450 Amwell Road, Suites O & P, Hillsborough, NJ 08844. There is ample, free parking; we are only 8 miles from I-287 and 8 miles from New Brunswick. Surrounding our facilities are numerous restaurants and many amenities. Who are your teaching staff/faculty? All of our instructors are highly qualified and certified to teach all of our programs. Each instructor/faculty member is carefully selected and interviewed and given a ‘working interview’ to prove they are in alignment with our mission and goals. Our instructor base ranges from Paramedics, RNs, NPs, PAs, and MDs. Although we have numerous requests for employment, we only hire the friendliest instructors! After all our reputation is on the line. Therefore, our staff will be friendly and have your best educational interests at heart. If you’re already an instructor and you are engaging, dynamic, and you thoroughly enjoy teaching, then likely we will want to meet you–please contact our office to request a phone interview/appointment. Please feel free to browse the “Programs” menu for an overview of each of the programs we currently offer. Remember, if we are too far for you to travel, or our times don’t meet your scheduling needs, we can always bring a course to your location (contact us for more information on traveling to your site).